The “gender studies” stick out like a sore thumb. Gender studies don’t seem to apply to 80’s Poland, which, I suppose, is all the more reason to inflict it upon those people and times (yet, what Beyer wrote about John Paul II in the Huff Post here is on the mark). This dissonance was amplified by my bedtime reading of Colm Tóibín‘s The Sign of the Cross: Travels in Catholic Europe. The subtitle might be a slight misnomer, especially since the chapter on Poland, “The Memory of War,” deals with the author doing his best to ignore and dismiss everything about Polish Catholicism. That’s because he’s mainly there as a globalist tourist expecting to have an Auschwitz epiphany. He initially bypasses the great centers of Polish culture, nearly a thousand years of history, and heads straight for the crematoria as if there’s nothing else to see in Poland. In my darker moments I feel the Germans won the memory wars by planting their worst concentration camps in Poland, instead of on their own soil. This intuition is best exemplified by the New York Times “Polish concentration camps” controversy. Not that Tóibín is any different from our wedding guests in Krakow, some of whom headed for the sites of mass extermination the day after our nuptials. 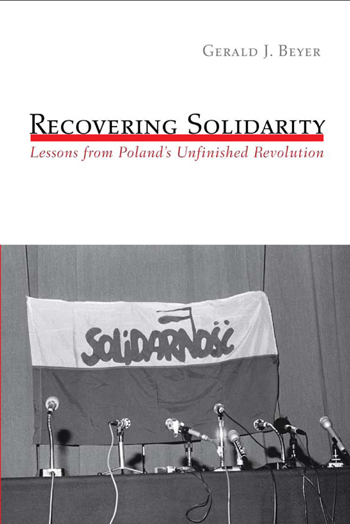 Tóibín only changes tracks sporadically to become irked by the naive “mildness” of Poland’s practicing “Solidarity Catholics” of the 90’s and mocks them for their remembrance of the Katyń massacre. He totally ignores the fact that in excess of 2.5 million Polish Catholics were killed during World War II, because their suffering somehow doesn’t count–even though Timothy Snyder points out they, not the Jews, were initially selected for extermination. Perhaps the catholicity of suffering in history is too messy for us too take in? I’ll come back to the topic of memory and World War II some other time, because I’m convinced that Eva Hoffman was right when she told me in private conversation that a balanced understanding of Poland’s history in the West is impeded by competing Jewish and Polish martyrologies locked in a zero-sum game. 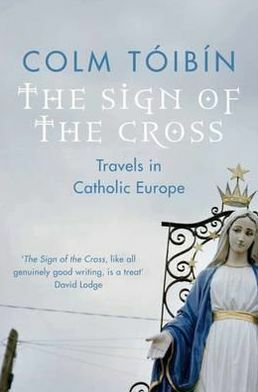 There’s also a lot to be said about Tóibín’s discomfort with how much the liturgical calendar set the pace of life in 90’s Poland, and how much he could “relax, feel at home” (last words of the chapter) once he got back to the 24/7 consumerism of Western Europe. He might take comfort in the liturgies of capitalist secularism beginning to dislodge Catholicism in present day Poland. You can find the rest of this essay here on the Tischner Institute site. There’s also an essay by the philosopher Charles Taylor I had to re-translate into English on the same site here (all because the original got lost and the Polish edition was the only one left). 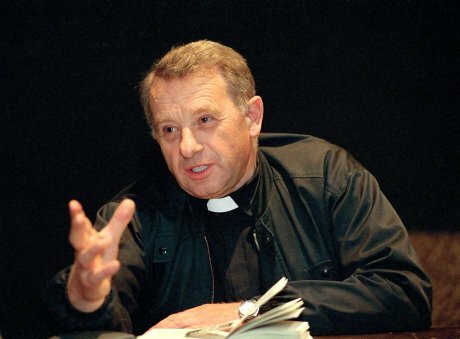 Jozef Tischner, the chaplain of Solidarity. He had a way of grabbing your attention. More about him in future posts.